The photographs produced by the FSA during the Great Depression constitute one of America's greatest artistic legacies. The project launched a stellar group of young photographers, including Dorothea Lange, Walker Evans, Ben Shahn, Carl Mydans, Arthur Rothstein, Marion Post Walcott, and Gordon Parks, who fanned out across America and created images of intense power and poetry. Thousands of FSA photographs have been exhibited and published, and we may feel that we know them well. For this remarkable volume, however, Gilles Mora and Beverly Brannan immersed themselves in the vast archive at the Library of Congress and emerged with unknown treasures. 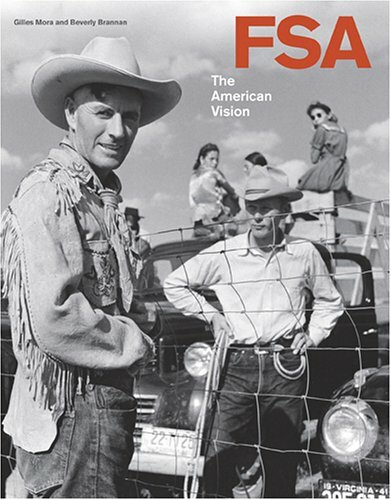 Theirs is a new view of the achievement of the FSA photographers-the most comprehensive in print-that finally gives them their due as the creators of a new American photographic vision.